Braun Intertec provided expert schematic design assistance and carefully planned and executed geothermal boring and logging. We then tested the earth beneath the airport to determine its capacity to heat and cool the thermal transfer fluid which will flow to and from the building. This work provided the data needed for precise design, enabling seamless constructability, and helps minimize the potential for expensive change orders later in the construction phase due to unforeseen conditions. Braun Intertec Geothermal consultants participated in the review of the design/build documents to help see that the planned installation suited the project’s requirements, and that the contractor means/methods were suitable to the project conditions. We further verified clarity of design intent to enable effective construction oversight and testing. During construction, Braun Intertec Geothermal technicians provided on-site construction testing and observation (CT&O) services to see that the design/build contractor installed the GHX system in strict conformance with design intent. These specialized services verify installation quality by monitoring contractor means and methods, testing to verify that each VHE is installed in accordance with State Rule and will operate properly, providing quality control for field-completed lateral piping connections, soil compaction testing, and using our patent-pending Hydrocommissioning TM system for cleaning, filtering, air removal, and final hydrostatic leak testing in accordance with ASTM F2164. Upon our completion of air and debris removal from the completed system, and after verifying it to be leak-free, we then prepared the system for service by installing a correct blend of environmentally-friendly antifreeze and related scale and corrosion inhibitors. Additional analytical services that were provided include grout thermal conductivity and heat transfer fluid testing. 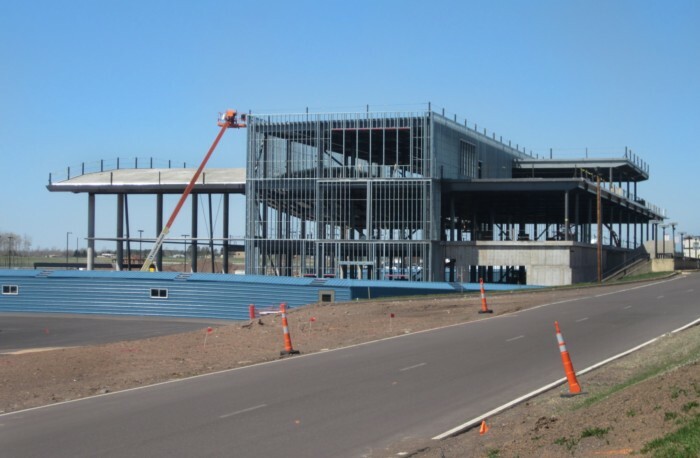 In 2014, Duluth International Airport won a Top Project Award from Finance and Commerce.